In South Latvia and North Lithuania there are common social – economic challenges, poverty, unemployment which lead to social exclusion, as consequence high stress level, which causes difficulties of psychosocial functioning, social inclusion and participation in economic, social, political and cultural life. Besides, in cross-border regions there are challenging accessibility of psychological and social support, well undeveloped accessibility and support content in social services for vulnerable people. Suggested project activities are focused on the creation and efficiency of social services for socially excluded adolescent, youth. 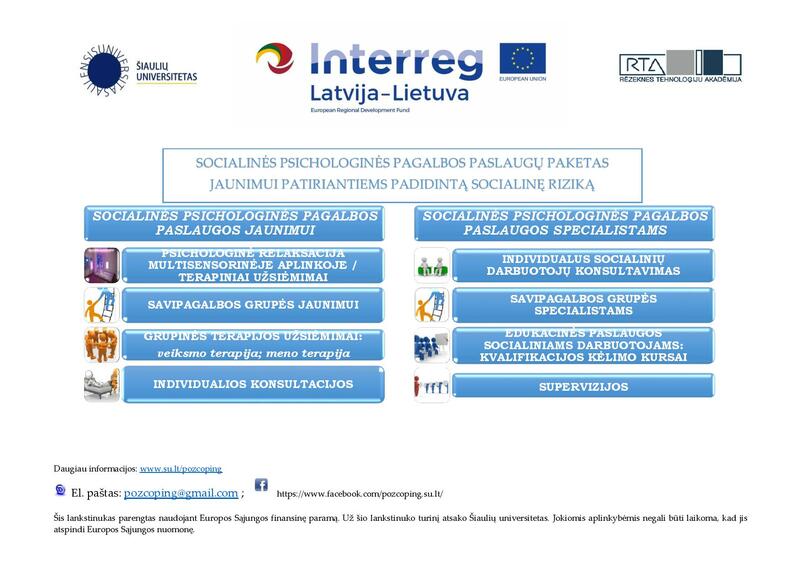 In the frame of this project the social inclusion, stress intensity, used coping strategies will be evaluated of adolescence and youth in N. Lithuania and S. Latvia. Then developing methodic of using multisensory rooms, social, psychological assistance methods (based on self-regulation, enlarging awareness, reflection, balancing emotions) will activate personal resources of target group persons for further integration into changing social cultural environment. The adoption of developed stress coping methodology could be transferred and spread to other counties and municipalities, and included in the social services catalog. The accumulated experience and the methodology will be used in the preparation of prospective social workers at higher institutions in both countries and qualification process for current specialists. The innovations, that the Project suggest is new to all Baltic countries and suggests, that these methods of social inclusion, positive stress coping to use in social services are effective and qualitative comparing to economical investments in application in practice. Cross- border high education institutions complement each other and create additional value, joining experience, knowledge, expertise, and expand social psychological services repertoire to social services centers in both regions. To develop social psychological support service system with the purpose to enhance social integration of youth at social risk while implementing effective method of developing positive coping with stress strategies. – the first one calls for the improvement of efficiency of social service. – The other one related with the higher social inclusion of the youth at social risk due to accessible empowering support and enhanced support services. There will be created techniques of development of positive coping strategies using multi-sensorial rooms, implemented and expertise these created techniques while rendering empowering support for youth and young families at social risk with the purpose to increase their social inclusion. The main aim of Project is develop psychosocial services with further possible insert them into the catalogue of social services for target group in both countries. It will serve transference good experiences into other regions and target groups after the project end. The main project outputs are applicable and replicable outside partnership. Improvement methods of adolescents and youth social inclusion will be transferred to communities’ multi-purpose services’ center and enrich of repertoire of social services. Research data build on the stress coping will be transferred to the social workers’ training program (theoretical courses and practice), current social work specialist qualification process. 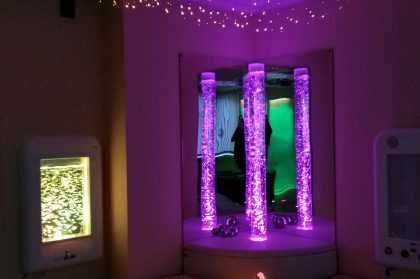 Siauliai University’s and the Rezekne Technology Academy’s installed a multi-sensory rooms can be used for non-governmental organizations, social services and community needs. Tyrimo ataskaita parengta(s) įgyvendinant projektą “Socialinės psichologinės paramos paslaugų sistemos vystymas diegiant teigiamo poveikio strategijų metodą ir stiprinant labiausiai pažeidžiamų gyventojų grupių socialinę įtrauktį ” (POZCOPING, Nr. LLI-163). 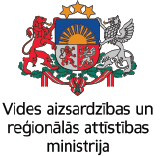 Projektą finansuoja 2014–2020 m. Interreg V-A Latvijos ir Lietuvos programa. The main objective of the second work package is development of social psychological support service system while implementing methods of developing positive coping strategies. One of the task of this project period – to create and expertise methods for development of positive coping with the stress strategies using multi-sensory room corresponding social psychological support methods. Starting from 2018 February, project group working on this main task.